Ludwig Museum of Contemporary Art in Budapest (Ludwig Múzeum – Kortárs Művészeti Múzeum) is the biggest branch museum of Cologne Ludwig Museum in Eastern and Central Europe. 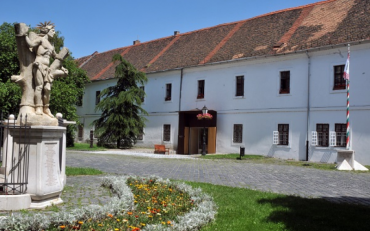 It is also the only museum in Hungary that always exhibits artworks of modern artists. It draws attention to social issues with its ambiguity and striking incisiveness, raises important questions, carries a hidden message and has already become so much more than just visual art. If this is the way you perceive contemporary art, then Ludwig Museum is your must-visit place. Museum’s history is just as young as the age of exhibitions put on display here. Collector and industry tycoon from Cologne Peter Ludwig and his wife Irene had a very diverse art collection that included 2000 pieces dated from classical age till modern times. Today you can find these exhibits in 30 museums all around the world. 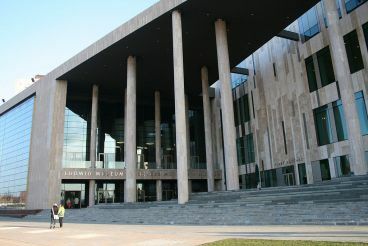 The branch museum in Hungary was established in 1987, and then in 1989, the very Ludwig Museum in Budapest was opened. Its first collection consisted of 70 artworks donated by Eötvös Loránd University, and 95 artworks taken from the collection of Peter Ludwig himself. Museum’s opening marked the end of the communist era and the fall of the Iron Curtain. In 1991 the museum opened its first exhibition which was located in Buda Castle. Later on, in 1996 it was transformed into Museum of Contemporary Art. Right after that, a significant number of artworks created by Hungarian artists were added to the collection. In 2005 the museum was relocated to Müpa Budapest where its ceremonial opening took place. Right now the museum houses 700 art pieces and the number grows by 20-30 every year. Artworks made by Hungarian artists of modernity and socialist era make up the majority of the selection. Besides these things, there are also paintings of Pablo Picasso himself and American pop art artists. Every year the museum holds from 8 to 10 exhibitions which are based on pieces created by contemporaries from Central and Eastern Europe. Ludwig Museum has been representing the Hungarian Pavilion since 2015 on the largest international contemporary art exhibition called the Art Biennale. Temporary exhibitions take place on the first and second floor; permanent one is located on the third floor. The museum also owns a library. Knowing that the majority of contemporary art connoisseurs are used to peculiar paintings with an unusual message, Ludwig Museum offers something new to experience. You will undoubtedly find it difficult to stay in the hall of World War II for too long. Dimmed lights, truly unpleasant photos, and quiet depressing music will leave a lasting impression. Another exhibition will strike you with an interesting scene straight away. Right at the entrance, you will encounter a stuffed pig. All it does is stare at TV screen which shows how this very pig was stuffed. Bus, routes 23, 54, 55, 918, 923, 979, get off on the Müpa - Nemzeti Színház stop. Tram, routes 2, 24 – the Müpa - Nemzeti Színház stop, routes 1, 17, 41, 56 – the Közvágóhíd stop. Suburban train H7 that goes along Danube’s promenade; get off on the Müpa - Nemzeti Színház stop. Ferry that plies the Danube, D11, D12, the Müpa - Nemzeti Színház stop. Opening hours: temporary exhibitions are available from 10:00 till 20:00, permanent ones – from 10:00 till 18:00. On Mondays, the museum is closed. Telephone: (+36) 15553444. Admission: full ticket costs 1600 Hungarian forints, cut-price ticket – 800 forints. There are also annual season tickets which will allow you to attend several temporary exhibitions. Its full price is 8000 forints, reduced – 4000 and 12000 forints for families (2 adults and up to 4 children). The information is relevant for January 2018.